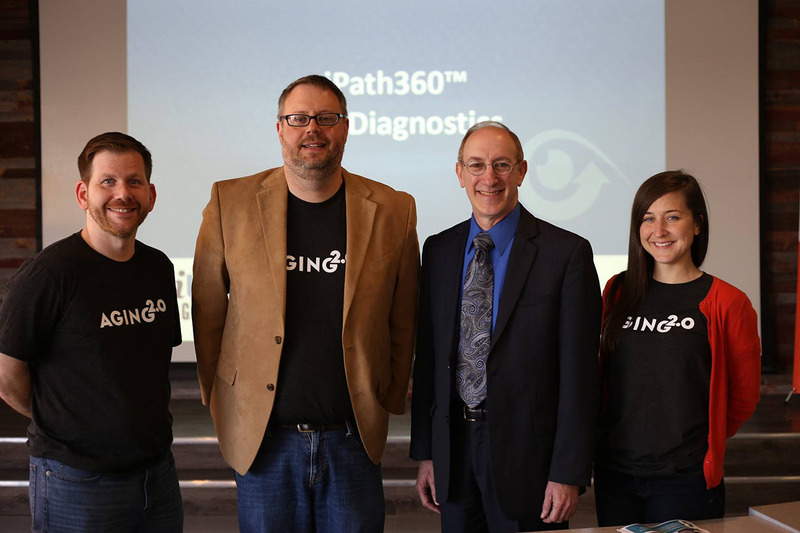 Cedar Rapids, IA, May 9, 2016 — Last Thursday, Iowa Startup Accelerator powered by NewBoCo launched the Aging2.0 Cedar Rapids chapter with a pitch competition and Aging Innovation Summit sponsored by Physicians’ Clinic of Iowa. iTR Diagnostics, a company focused on testing for early diagnosis and monitoring of Parkinson’s disease, won the competition. Iowa Startup Accelerator’s seventh and final Innovation Summit this Spring is Friday, May 13. The event brings together education-related startups, investors, corporate leaders in standardized testing and publishing and textbooks, and industry experts from secondary and higher education. The summit features startup pitches, a reverse pitch from corporate innovators, and discussion topics such as cutting-edge education technology and challenges facing the industry today. (See the full schedule and registration information). The organization is especially looking forward to this summit because five out of the six featured startups are led by female founders. These women are examples of who should be leading the way in increasing the number of female entrepreneurs in Iowa. Also, this summit will be co-hosted by Adam Ingersoll of Built By Iowa, an early stage fund created to help talented entrepreneurs bridge the funding gap between angels and a series, and Co-founder and Principal of Compass Education Group, California’s leading provider of tutoring for high school students aspiring to attend competitive colleges. The Innovation Summit Series would not have been possible without the support from the Innovation Grant awarded to NewBoCo by the Blackstone Charitable Foundation. Built By Iowa (BBI) are a private equity firm and one of the early investors in the ISA’s Seed Fund; the group has invested in education startups including Higher Learning Technologies, clusterFlunk, and Tutor Universe. Built By Iowa’s founding team includes two Iowa natives – Ravi Patel, President of Hawkeye Hotels and Patel Endeavors, and Roby Miller, Founder, and CEO of TelePharm, as well as Adam Ingersoll, a founder of multiple successful startups in Los Angeles, who is now based in Iowa. BBI was honored as the 2014 Investor of the Year by Silicon Prairie News and was recognized as a “Game Changer” by the Big Ten Network.